A delicious old-fashioned stuffing to accompany turkey or chicken for any occasion, with mushrooms, water chestnuts, olives, apple and celery. 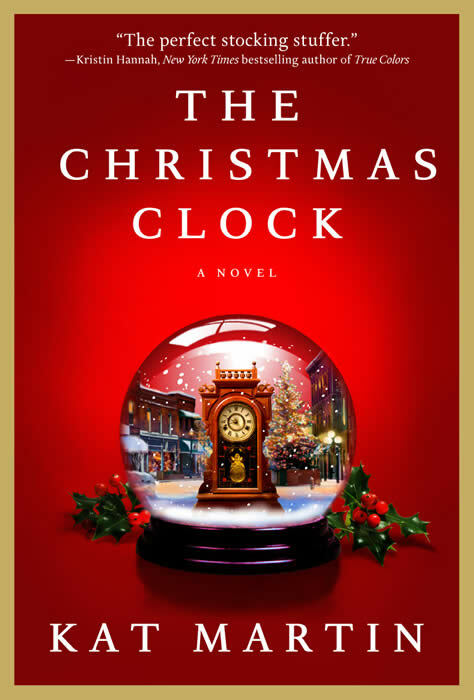 The Christmas Clock is the story of a Christmas miracle, a tender tale of love, courage, and forgiveness in the small Midwestern town of Dreyerville, Michigan. For me, Christmas wouldn’t be my favorite holiday without a big family gathering, cooking all day, and sitting down to a table filled with delicious food, joined by relatives and friends. It means cooking a great big turkey stuffed with old-fashioned dressing, giblet gravy, mashed potatoes, and candied yams, fresh green vegetables, hot dinner rolls, and pumpkin and pecan pie for dessert. A dear friend gave me this recipe so long ago I’ve started claiming it as my own, but every year when I make it, I read the recipe card she gave me, see her handwriting in fading blue ink, and think of the friend I haven’t seen in years, and appreciate her friendship all over again. Note: I usually buy two boxes of stuffing mix so I can add a little extra if needed to achieve the right consistency. Bring a small pot of water to a boil. Place turkey neck and giblets in water, reduce heat and simmer for approximately 1 1/2 hours. Remove turkey parts from pot, peel cooked turkey meat off neck and set aside. Chop remaining cooked giblets and set aside. Preheat oven to 350 degrees. Grease a 9 x 13 baking pan or casserole dish. Pour chicken broth into large saucepan. Add butter, and bring to a low simmer. Add turkey, mushrooms and juice, water chestnuts and juice, olives, apple, onion, celery, raisins, and pecans. Simmer until onion, celery, and apple are cooked, approximately 30-45 minutes. Place stuffing mix in a large mixing bowl. Spoon chicken broth/giblet mixture into stuffing mix, adding a little at a time and stirring with each addition until stuffing is moist, but not too wet. Add thyme, sage, salt and pepper and stir to combine. Spoon stuffing into prepared pan. Bake for 45 minutes to an hour, until heated through and golden brown on top. You can also loosely pack stuffing in cavity of a turkey (stuff the old boy, my friend’s recipe card says), and roast according to directions for a stuffed turkey. When you take it out, you will have a great, old-fashioned raisin-pecan stuffing for your table that I hope will become a family tradition.